It's just a teaser, but it's got us excited to see the rest of the car. The next Toyota Camry is up for big changes at the 2017 North American International Auto Show. This teaser image is our first look at what that entails. The single shot shows a cohesive and potentially very pretty design. 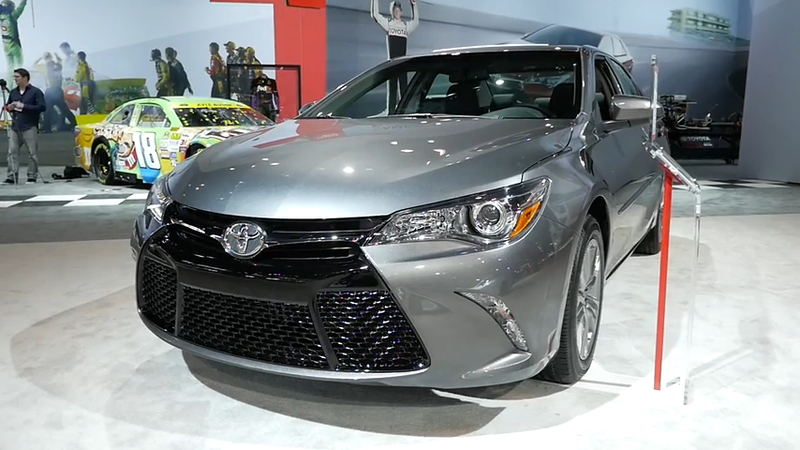 We know, it's weird to say that a Camry might be pretty. But just look at the thing. The LED taillight design is nice, but the way the vertical vent – we doubt it's functional – runs up from the bumper, into the taillights, and integrating neatly with the lighting element, really works. We're also digging the strong character line that runs along the Camry's profile and then bleeds seamlessly into the trunk opening. It's a nice, fashionable styling touch. Most intriguing is what we can't see – the interesting crease in the C-pillar has us wondering how the rear window and decklid integrate. It looks vaguely like a five-door body rather than a traditional sedan – think Honda Civic Hatchback instead of Sedan. Criticisms? Well, we know this is the sporty XSE trim, but the rear spoiler is a bit much. And while those taillights look nice, it's hard to ignore the styling elements it borrows – there's a lot of Ford Fusion in the shape and style and Kia Optima in the lighting signature. 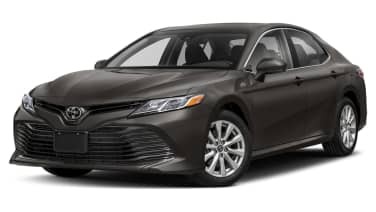 While it's a new sensation to get excited about seeing a Camry, Toyota's latest teaser for its bread-and-butter family sedan has certainly had that effect. Good thing we only have about five weeks to wait.